I am very happy with this experience and the opportunity that TEFL Trainer Spain gave me. As an Applied Languages student myself, this internship was perfectly related to my degree and my learning. Not only did I gain first hand experience in teaching, but the company also gave me the opportunity to obtain the TEFL (Teaching English as a Foreign Language) certification, after completing the internship between the agreed dates, delivering 6 written assignments (400 words each) and passing 6 theoretical exams online. I really enjoyed the programme and I am very happy to have chosen it. Teaching students truly gave me a lot of satisfaction; in addition, it benefited me immensely since it has helped me gain experience in teaching but it also allowed me to become very confident, not only on a professional level but also on the personal one. I really enjoyed this online course with TEFL trainer. 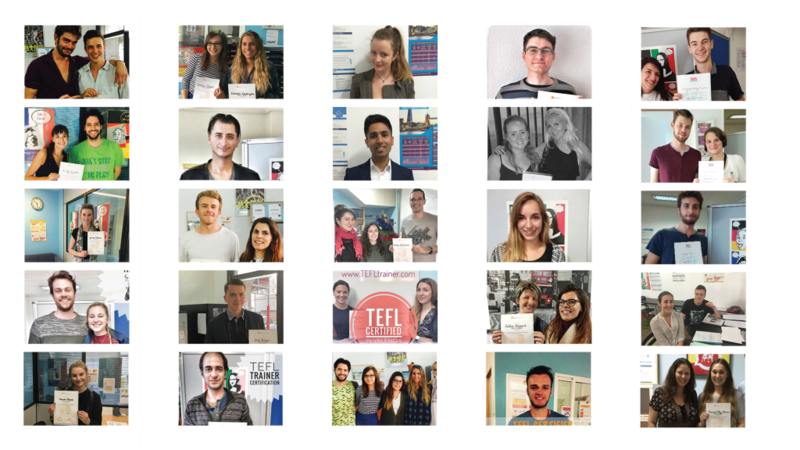 In two months time I had completed the TEFL Internship with success. It was a challenging and rewarding experience. The online lessons were perfectly dosed, neither too short nor too long with a variety of contents. Moreover it allowed me to work at my own pace without the inconvenience of classroom schedules. As far as I am concerned it has been a positive experience thanks to the support given and the avalability of the trainer. So far my TEFL experience has been extremely valuable. The combination of living and working in a foreign country is a very unique experience, which not many people are able to do. TEFL is a great introduction to teaching and allows you to meet new people everyday. I’m sure it will help me in my teaching career. Julia herself is a very nice yet professional lady who is always quick to respond to any questions or queries you may have. TEFL course is a flexible and unique way of learning how to teach in EFL classroom. At the same time you are gaining experience that will be useful for your future employment. Living in another country while developing my teaching skills was a memorable adventure for me. I met wonderful people here, mentors were exteremly helpful and the experience of living and working in Madrid is unforgettable. Not only will you obtain a qualification that will undoubtedly benefit you when it comes to your teaching career but you will also profit from evolving as a person.